Writing About FGM Online: What Are The Critical Issues? 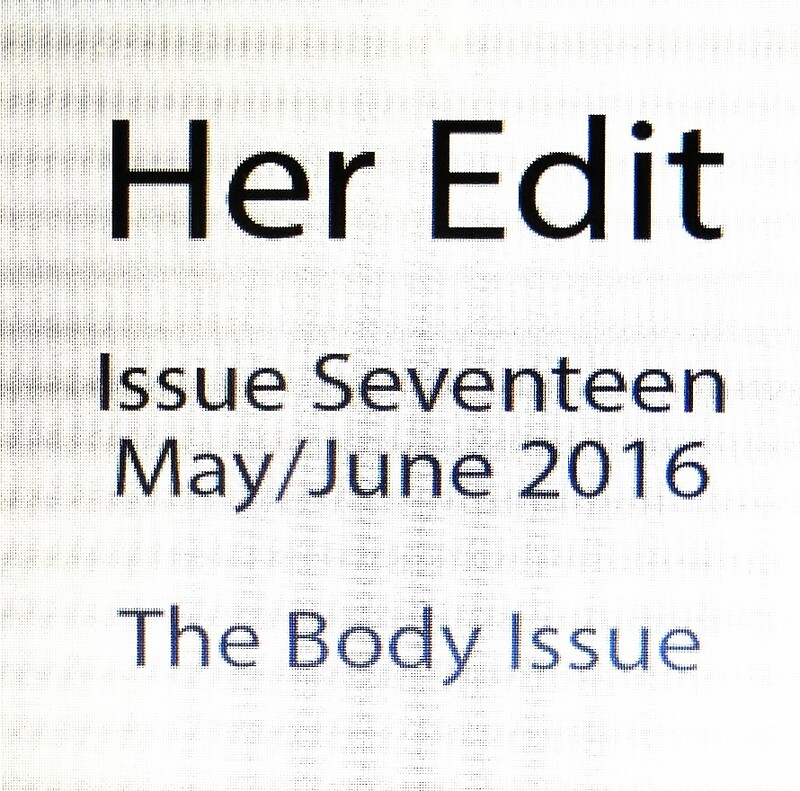 It was good to be invited to contribute to The Body Issue (17) of the online magazine Her Edit. The brief was to write an article about FGM, explaining why it continues, and what can be done to stop it. I chose to emphasise the frequent lack of understanding in practising communities about the harm of FGM, and the requirement on us all to keep the issues in the public mind. Below is my article, published by Her Edit under the heading ‘FGM: Patriarchy incarnate‘. What would others have elected to share with new readers about this tragic abuse of human rights? The myths and methods are many, but the reality doesn’t change. Every instance of female genital mutilation (FGM), whoever does it and for whatever claimed rationale, is an act of violence against the person and against their human rights*; and in almost every country in the world FGM is now illegal under national as well as international law. To many people the continuing practice of FGM is incomprehensible; and that there are now estimated to be at least 200 million women and girls alive today with the condition is beyond belief. How can women who know the pain it brings permit their own daughters – infants, small children or adolescents – undergo the same grim ‘procedure’? But the truth is, that whilst women know from personal experience that FGM brings pain, they often don’t know it is the cause of much ill-health in adulthood. Rather than (as is often believed) enabling fertility, it can cause many problems ranging from period pain and difficult conception and pregnancies / deliveries, to the death of neo-nates and the unending nightmare of obstetric fistula. The eradication of FGM is therefore nothing to do with respect for ‘cultural practices’ and everything to do with the health, happiness and human rights of women and children (baby boys as well as girls). Indeed, many in traditional communities now insist that we understand the difference between traditions, sometimes harmful, and culture, positive and good. Dr Morissanda Kouyate, Guinean physician and Executive Director of the Inter-African Committee on Harmful Traditional Practices, is amongst those firmly of this view. There is no single solution to this grim challenge. Each element of the equation requires careful and consistent attention. Work to shift and enlighten community and family understandings; education to enable women (and men) to have adult autonomy and financial security, unbound by hardened traditions; learning, for some of both genders, that women are not chattels owned by men; determined moves away from early and forced marriage; respect for human rights – sometimes barely understood or acknowledged – as well as for established social mores; enforcement of the law everywhere…. all these aspects of FGM eradication are critical. We in the UK have moved in the right direction to a degree, but there is so much still to do – and many considerations still to be taken on board – if we are to make FGM even in our own land history. As yet there has not even been a successful prosecution in Britain – where 140-170 thousand women and girls are thought to have experienced or be at serious risk of FGM. Despite the enormity of the issue, however, each of us has a part to play. Wherever we are, we can stay informed (The Guardian has an excellent #EndFGM website: http://www.theguardian.com/end-fgm ), we can ask questions about the provision of child safeguarding, support for providers, and education in schools, and we can make sure our politicians and policy makers keep their eye on the ball. We can even help to fund the various charitable bodies that tackle FGM and other abuses, if we wish. But the most important thing of all is not to do what we all dearly wish we could do, and simply put these matters aside. Please keep talking and asking questions. Even one child spared is a child who can live her life intact. It is perseverance on multiple fronts which will eventually and finally mean that no child need fear ever again the awful blight of female genital mutilation. Hearty congratulations, Hilary! I’ll have a thought or two to add to the conversation…. So wonderful that this magazine published your excellent article on FGM! We just need to keep spreading the word. Thank you for all you do!